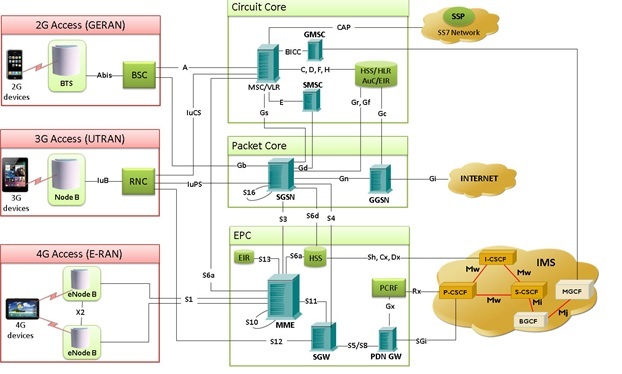 Mr. Vadalia further explained: “MAPS 2G Lab Systems can be used to simulate multiple instances of nodes in network such as MSC, BSS, SGSN, and GGSN to perform functional and load/stress testing. The lab system can operate with real mobiles or optionally with a simulator such as GL's TRAU Testing Solution. "MAPS 3G lab system can be used to simulate a complete 3G UMTS network, allowing various network elements testing including RNC, MSC, SGSN, GGSN, Home NodeB, Home NodeB Gateway, and NodeB. The possible simulation includes both user-plane and control-plane; circuit-switched voice and packet-switched data traffic simulation, resembling real user activity (like web-browsing). "MAPS 4G lab system for LTE can be used to simulate both E-UTRAN and EPC (Evolved Packet Core) allowing complete testing of the LTE network. The system can configure various nodes in LTE network including eNodeB, MME, Serving Gateway, PDN Gateway, HSS, SGSN, PCRF, PCEF, AF and others. The lab system is validated against real-time equipments.